As all know curry leaves has many good qualities and we all try to use it as much as possible in our cooking but not only kids also adults do not like to eat as it is. 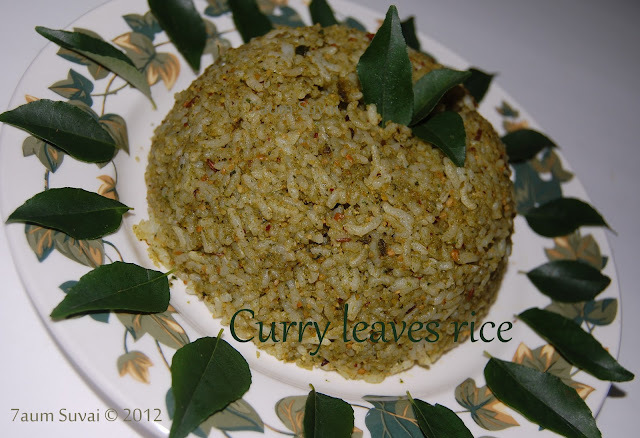 Best way of using curry leaves is curry leaves rice where we are going to grind all the stuffs and mix it with rice. 1. Cook 1 cup rice and keep it aside. 2. Heat oil in the pan, add black gram (ulatham paruppu), Bengal gram (Kadalai paruppu), and red chili’s one by one and fry until golden color. 3. Next add Curry leaves and coriander leaves and fry for 2 minutes. Take it off and let it cool for sometimes. 4. 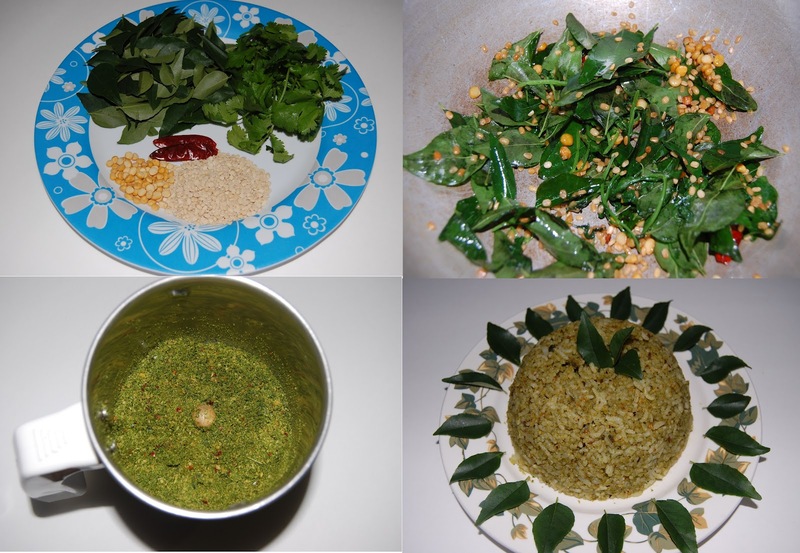 Coarsely grind all the fried stuffs in mixer grinder without adding water. Do not add water at any stage instead pulse it again and again. 5. Heat butter in the pan, add Cumin seeds and once it splutter add the ground items and fry for few minutes. Add the cooked rice at this stage and mix it well and now the pudina rice is ready for serving.